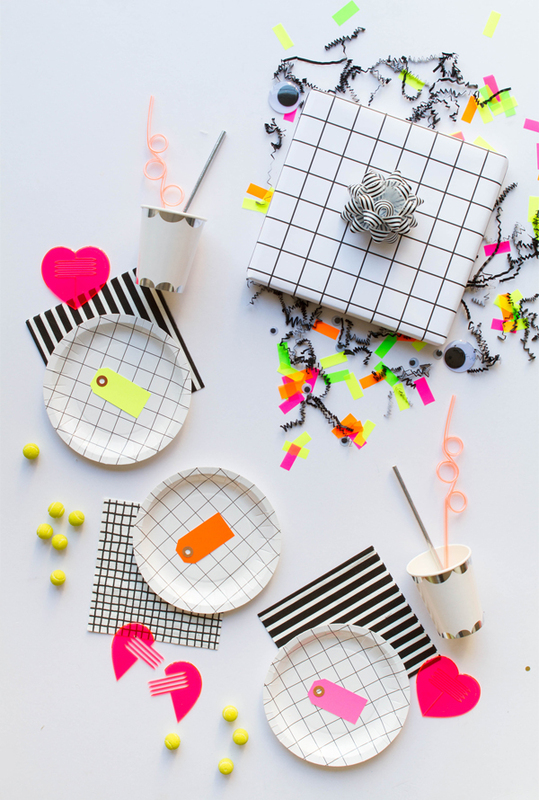 If you need some party inspiration, here’s a theme we’ve been loving lately: black & white with bits of neon! 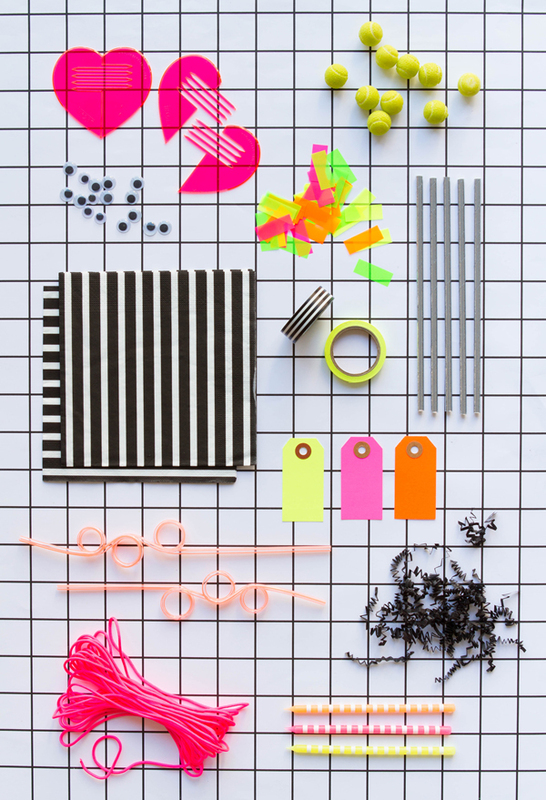 These bright colors are so pretty against a classic grid. 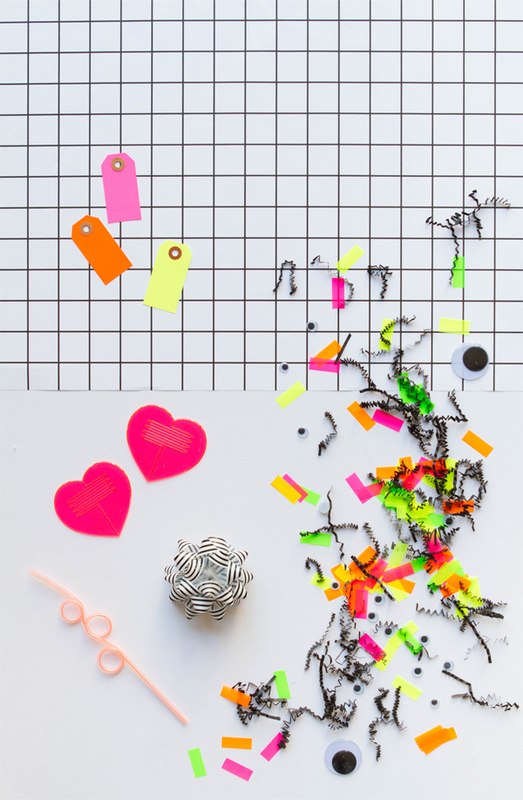 We also added in a few funny elements like metallic straws, googly eyes and mini tennis balls to spice things up. What do you think?? PS – A Unicorn Party & A Monochromatic Party! I love it! I sometimes use neon paint for the special touch as well! I love this grid theme! It’s so cute and modern! Absolutely adore this color scheme! Wow! I love the colours! Will definitely be using this idea in my next event. Thank you! Where are the curly straws from, I searched ur shop and couldn’t find them. And they are exactly what I’m looking for! Help! Anyone!